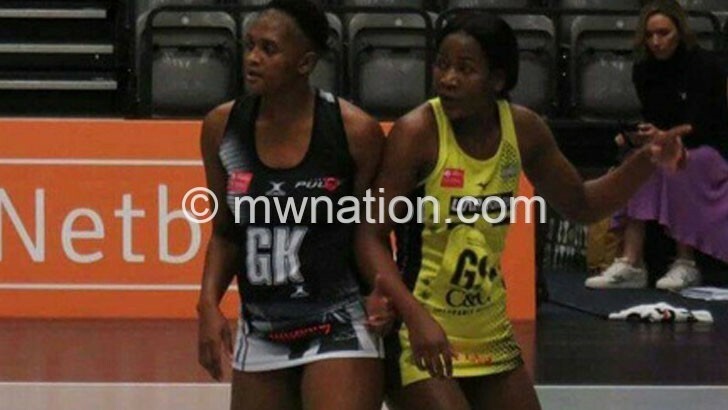 Malawi Queens stars Joyce Mvula and Laureen Ngwira faced off for the first time in the English top-flight league on Monday when the former steered Manchester Thunder to pile more misery on Ngwira’s new club London Purse with a 62-47 beating. The result means Thunder have so far earned three-straight wins in the Vitality Netball Super League and are tied on nine points with defending champions Wasps at the summit of the log table while Pulse have suffered their third defeat in four games and are ninth in the 10-team contest with three points. Vitality Netball Super League website www.netballsl.com reported that Thunder led 17-12 in the first quarter before increasing the tally to 33-28 and 46-35 in the subsequent segments. Nevertheless, Thunder’s website www.manchesterthunder.co.uk yesterday reported that it was a hard-fought victory for the home side. “Both shooters Kathryn Turner and Joyce Mvula enjoyed success under the post…but something was different about Pulse in the third quarter as Thunder struggled to force them out of the game. But by the last five minutes of the quarter, Thunder dispelled any chance of a Pulse comeback,” the website stated. 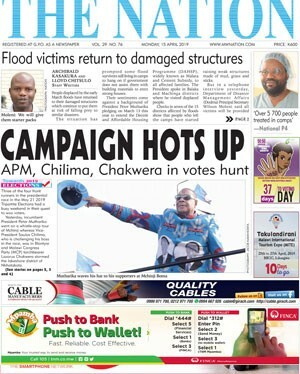 Thunder substituted 24-year-old goal shooter Mvula with Ellie Cardwell in the third quarter while goalkeeper Ngwira played the entire game for Pulse. Mvula is playing in the English elite netball league for the third season. Last season, she was impressive that she was named Thunder’s Players’ Player of the Year.